I've been remiss of late with my Emerging Runner postings. The past week was busy and I occasionally missed my opportunity to write. I hope to get back on track this week. But who says you can't take a blogging rest day every once in a while? I've had some low level pain in my knee since Sunday so I decided to do a low impact workout this morning. The elliptical machine is a great thing to have under these circumstances. These sessions yield good aerobic exercise and the elliptical motion protects strained muscles and tendons. My goal was to exceed my targeted distance within my allotted 25 minutes and I put some work into that today. As I went through today's workout, I thought about my next race. It's a 5K, a distance that I tend to avoid because it's a lot of prep for an event that, even for me, goes by in under 30 minutes. But 5K is a great distance for beginning runners who may not be ready to compete on longer courses. Similarly, experienced runners who can test their conditioning by going out fast and keeping the throttle down until they cross the line. I am looking forward to running this race on the 15th. 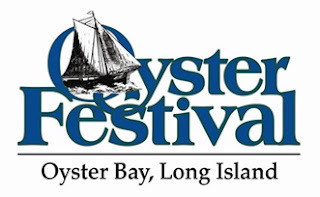 It's in Oyster Bay, part of the annual Oyster Festival. Although I live near there, I've never run on those roads. I'm curious to see how I'll do in a race where I can push hard, almost from the beginning, without worrying much about bonking near the end (as happens sometimes when I drive hard during 10K's). I'm thinking that speed and hills will be the theme for next weekend. Hope my knee feels better by then. Enjoy the run. The first half is all up hill. And it's a big hill. Oh great. Is the second half all downhill (please say yes)?